Five months and 2160 miles of backpacking on the Appalachian Trail let me experience a much different life style than what I grew up with in Rhode Island. For five months was able to experience a life style of simplicity. A lifestyle where everyday brought something new and even more beautiful than the day before. A lifestyle that was absolutely the most satisfying five months of my life. In 2002, I was ready for another thru-hike. I had moved to Colorado in 1999 and that was an adventure in itself. But, was now ready for another long distance hike. The hike this time would be the Pacific Crest Trail. This western counterpart to the AT is almost 2700 miles long. It is more remote, isolated and diverse. 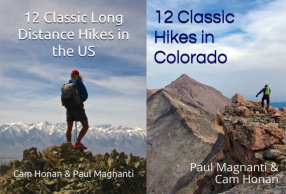 From desert to alpine, from sea level to over 13000 feet, it is a trail of extremes. As with my thru-hike of the AT, it was a journey I still reflect on long after I have left the trail. 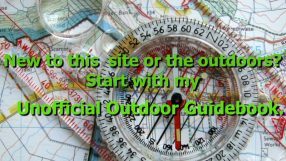 In addition to my Pacific Crest Trail journal , also have over 350 Pacific Crest Trail photos from my PCT thru-hike online. 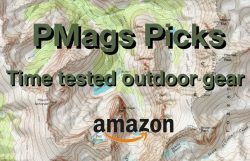 If you need a start in planning for your own PCT trek I have a “Quick and Dirty Guide” that should help in planning.